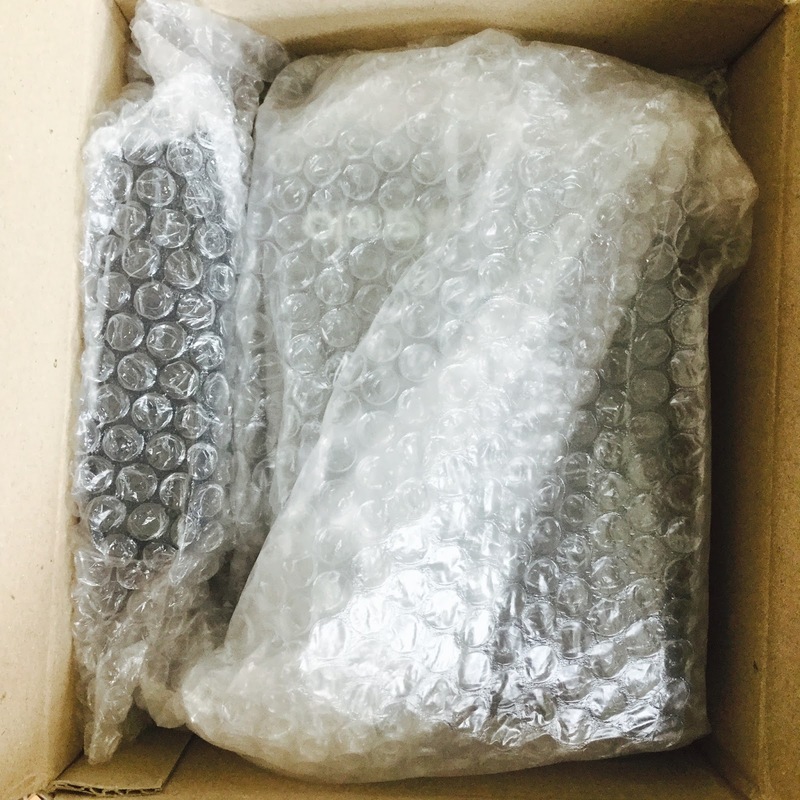 Well protected in bubble wrap for safe shipping. 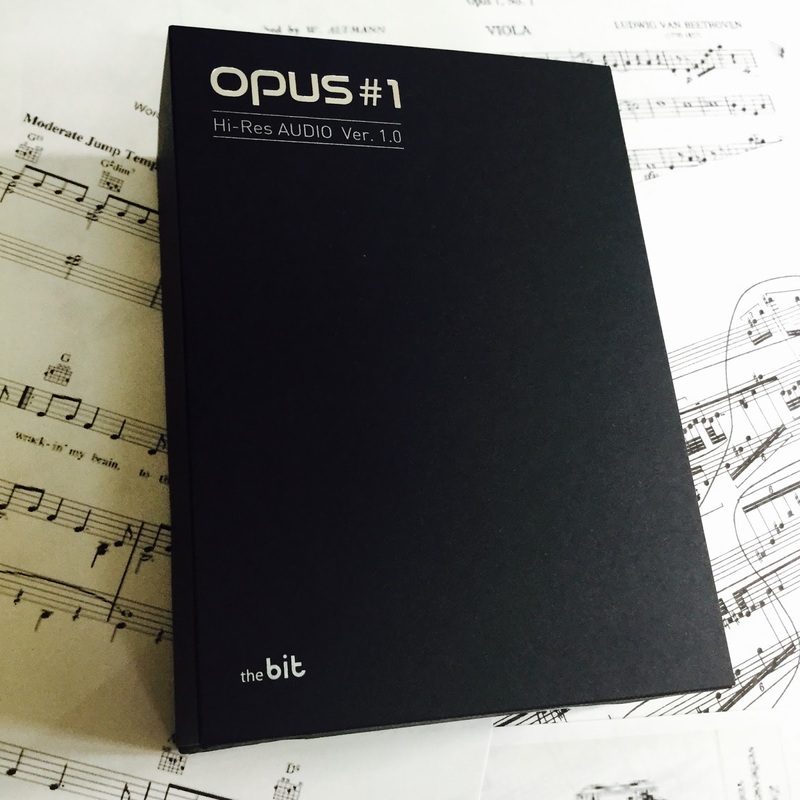 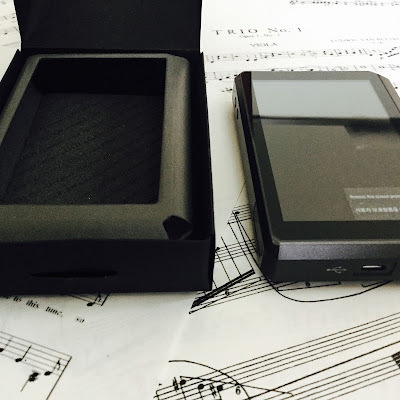 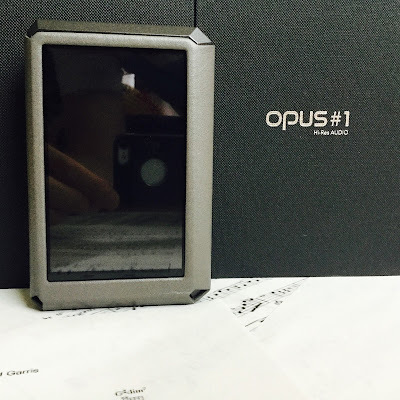 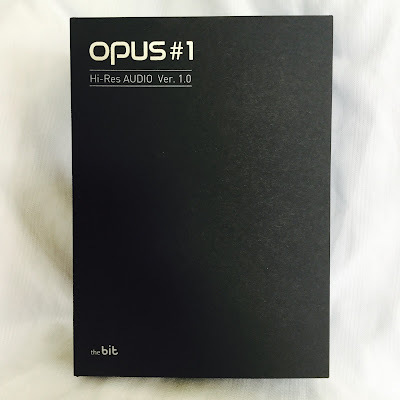 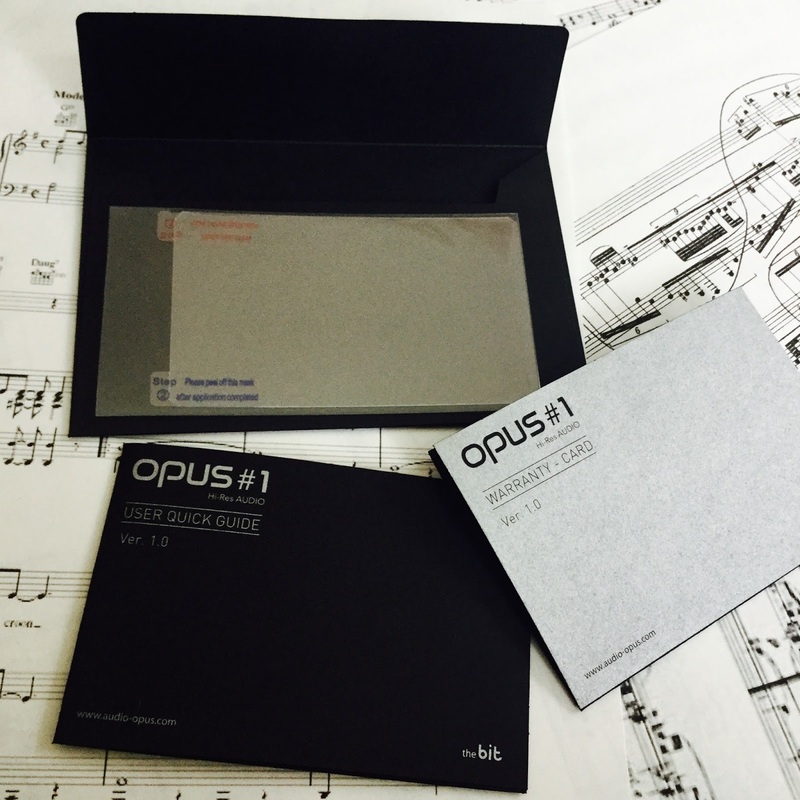 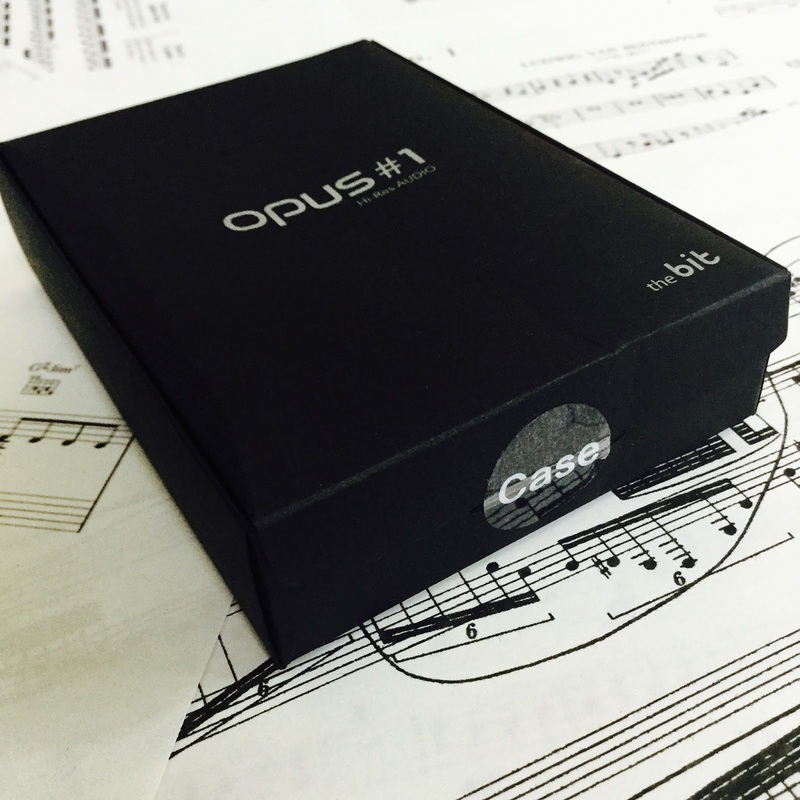 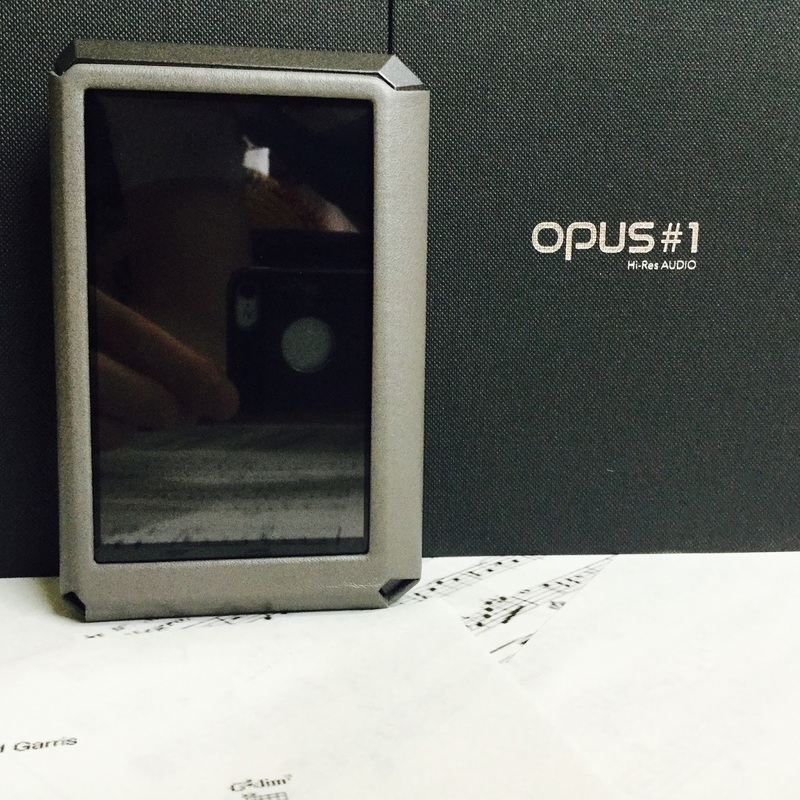 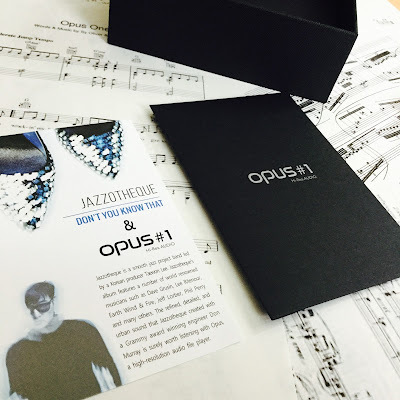 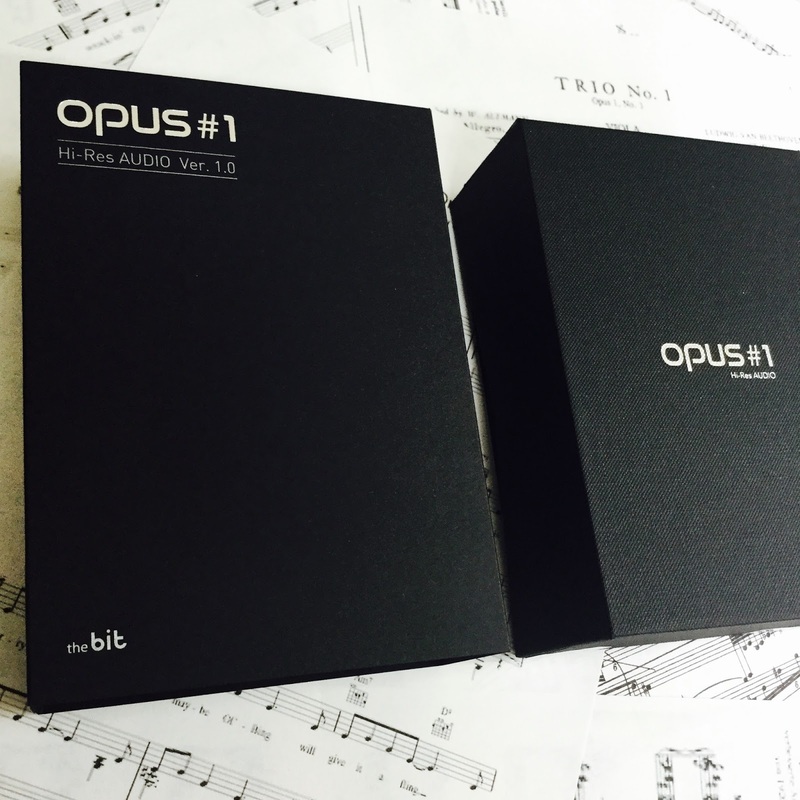 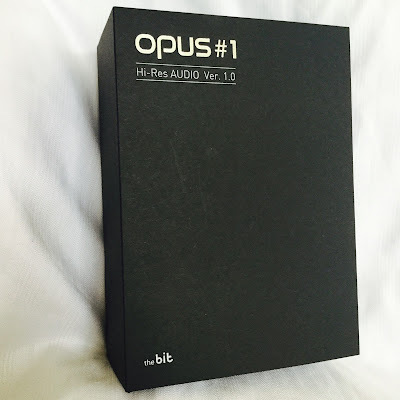 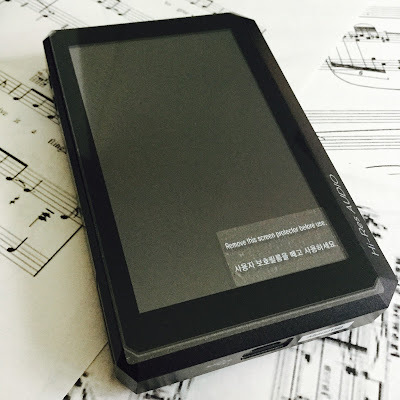 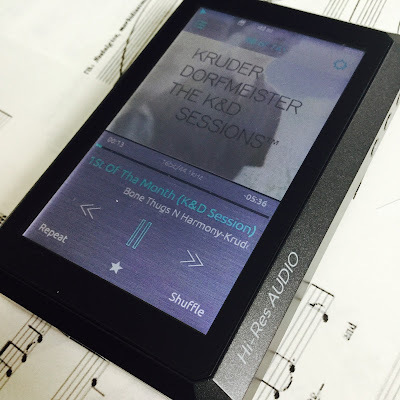 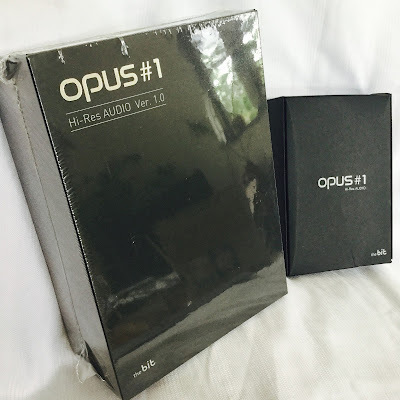 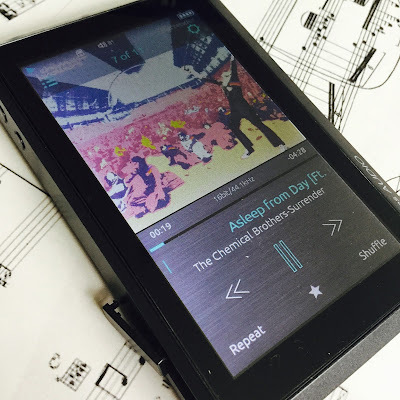 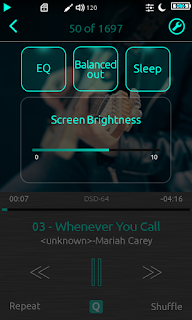 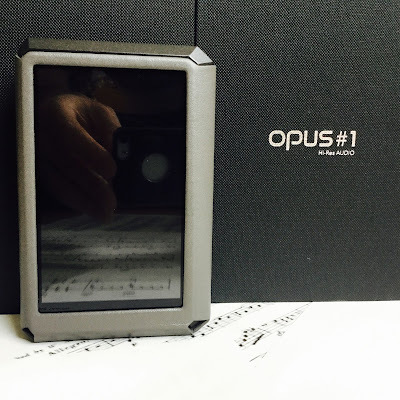 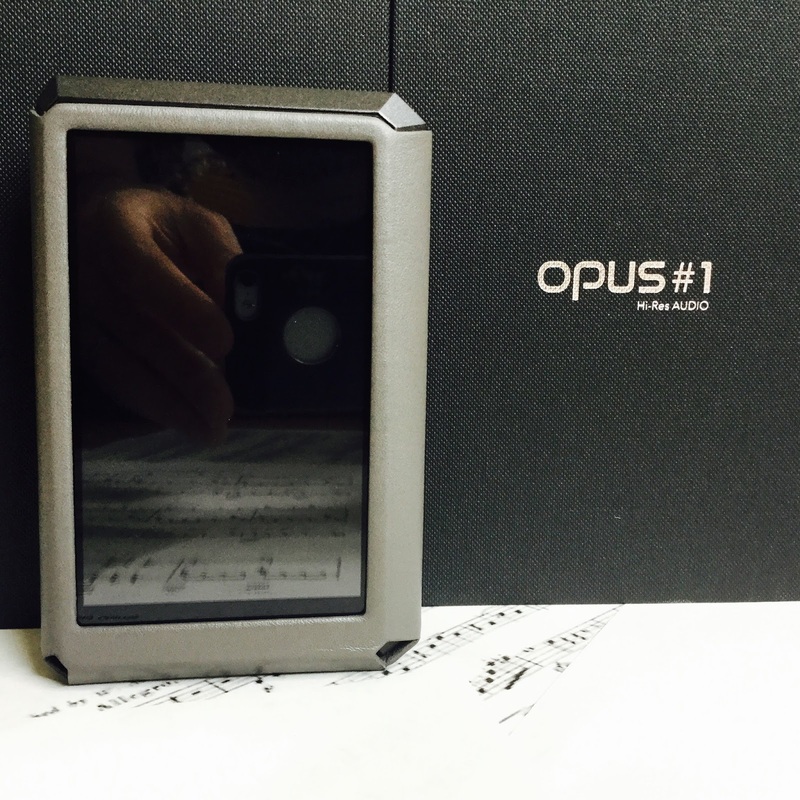 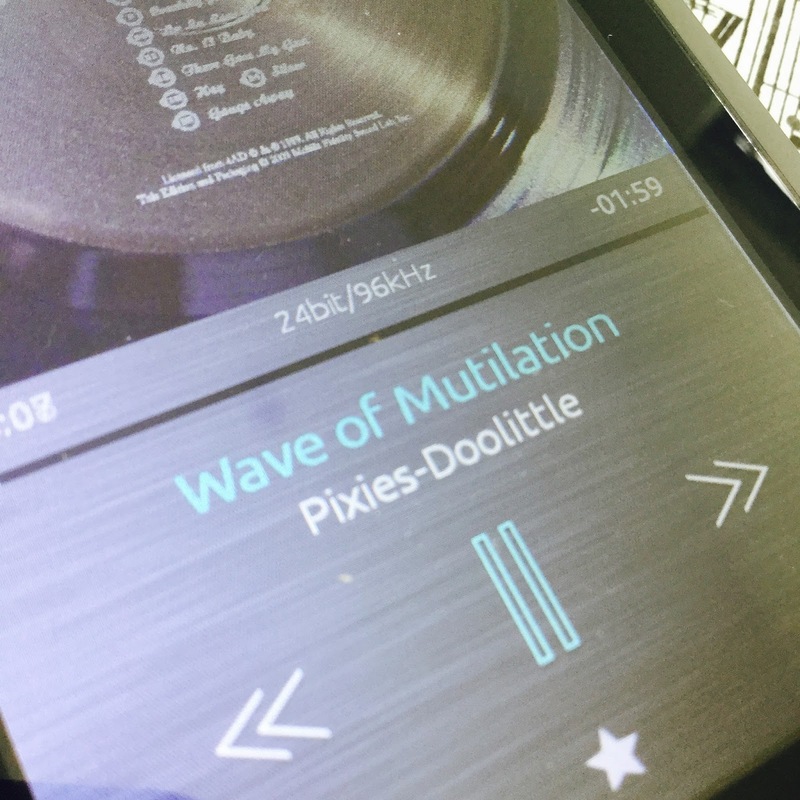 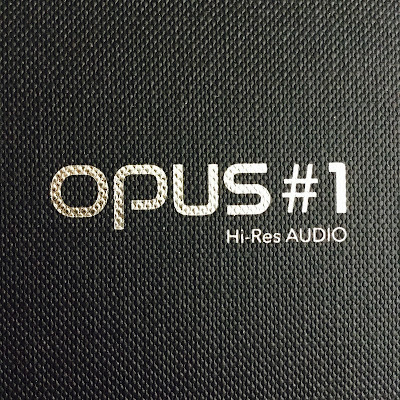 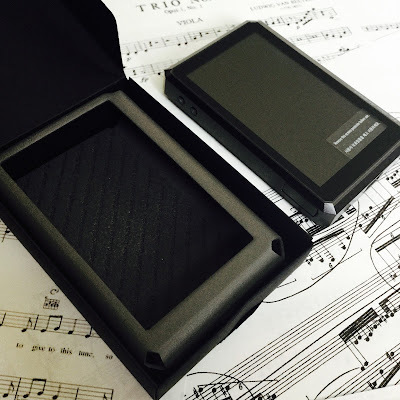 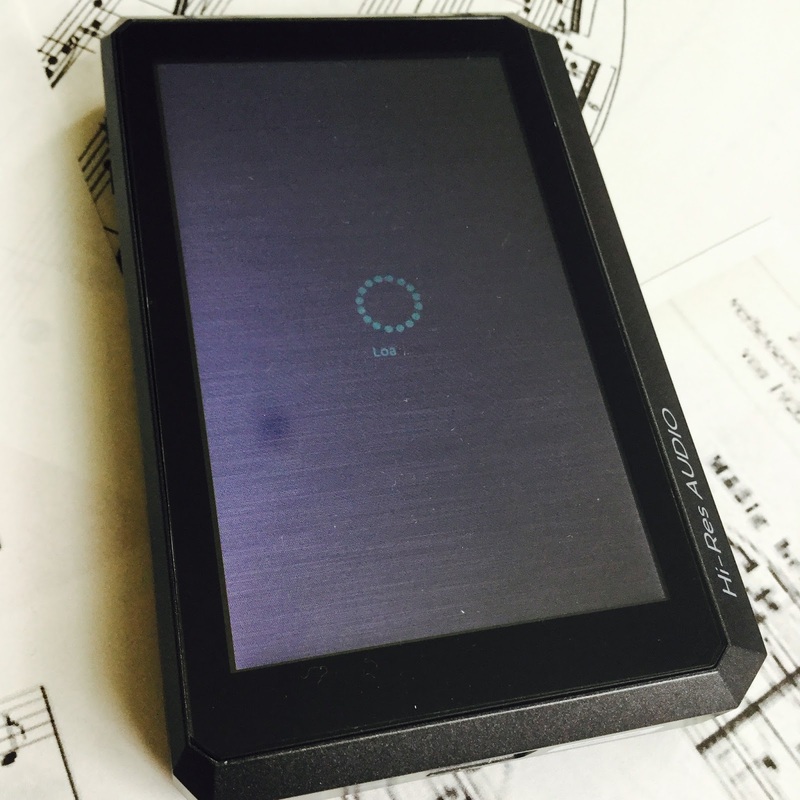 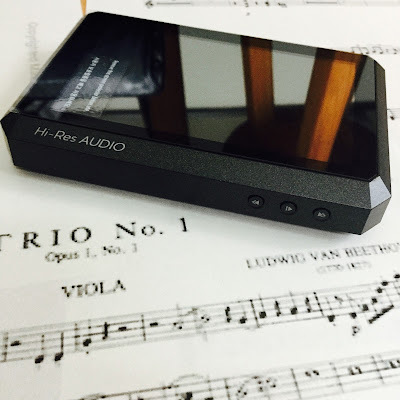 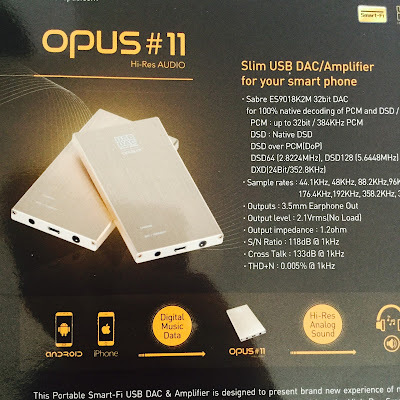 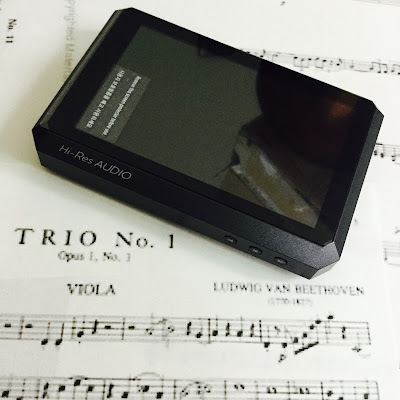 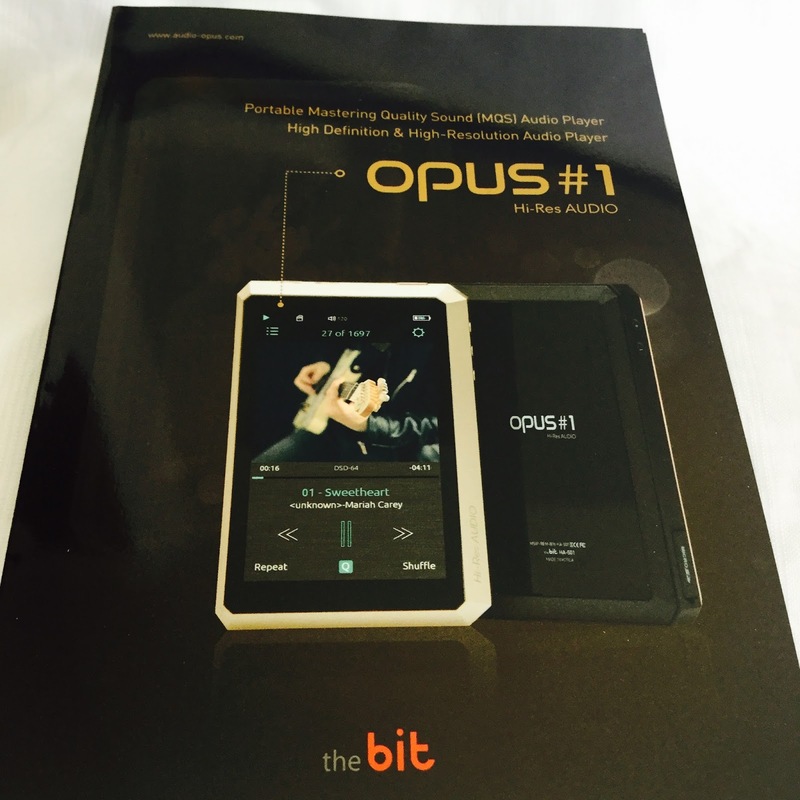 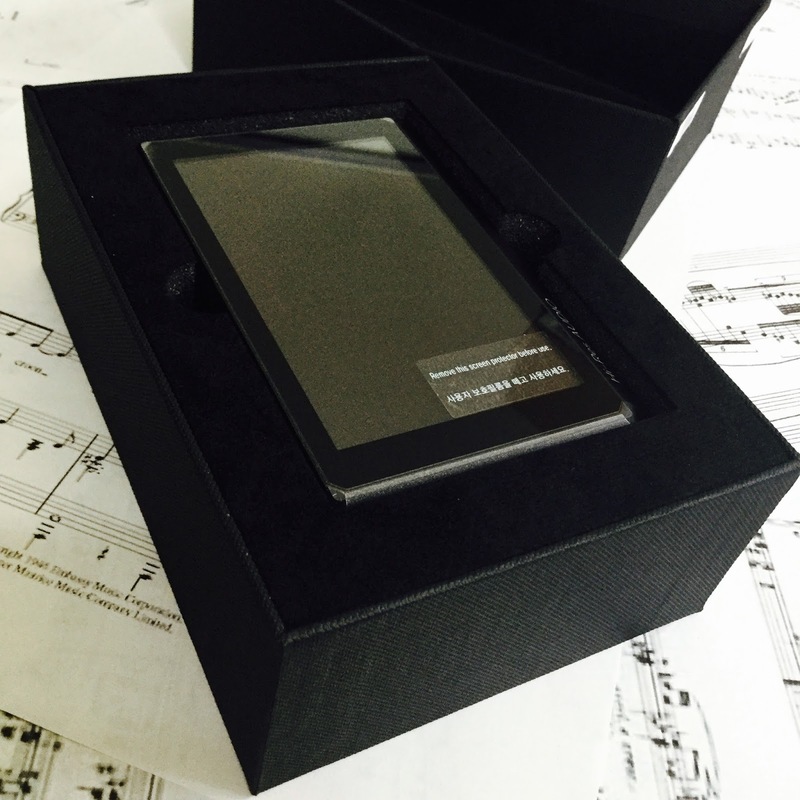 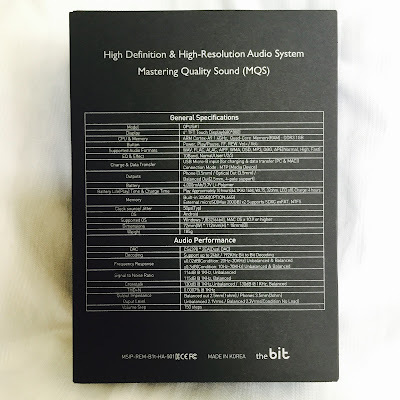 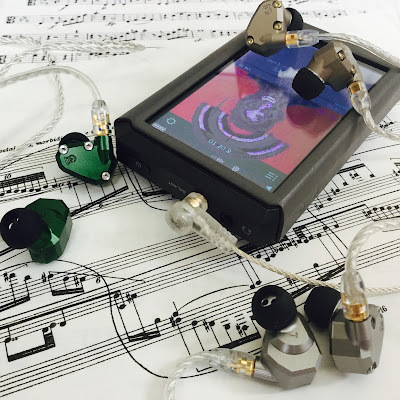 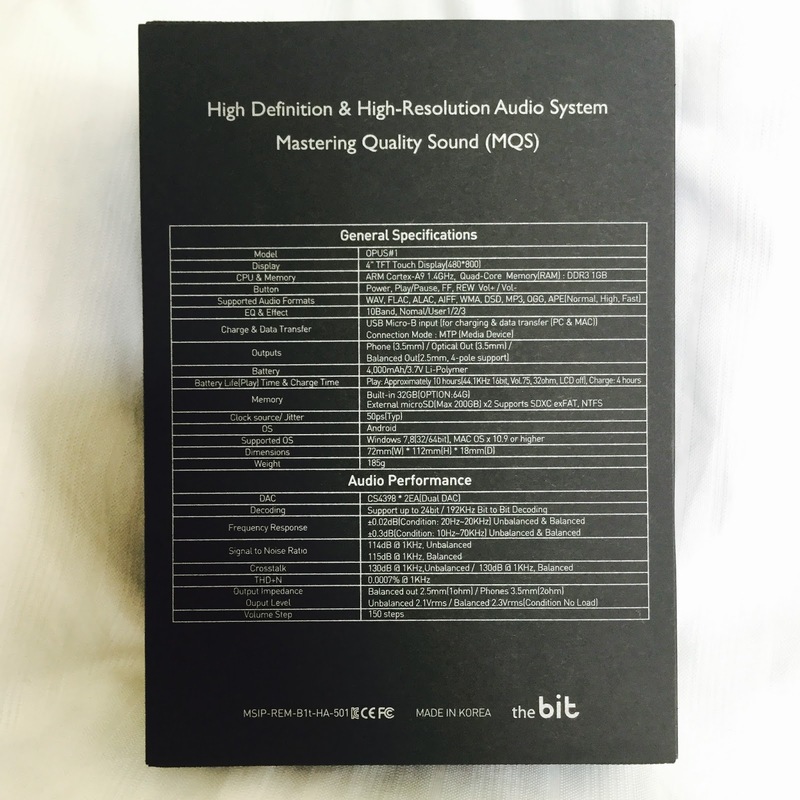 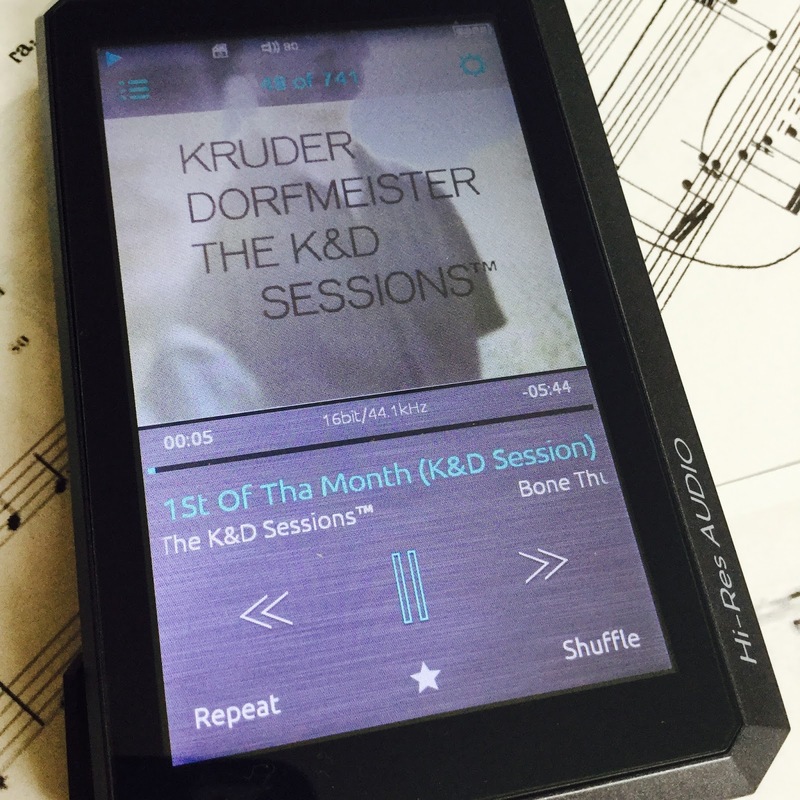 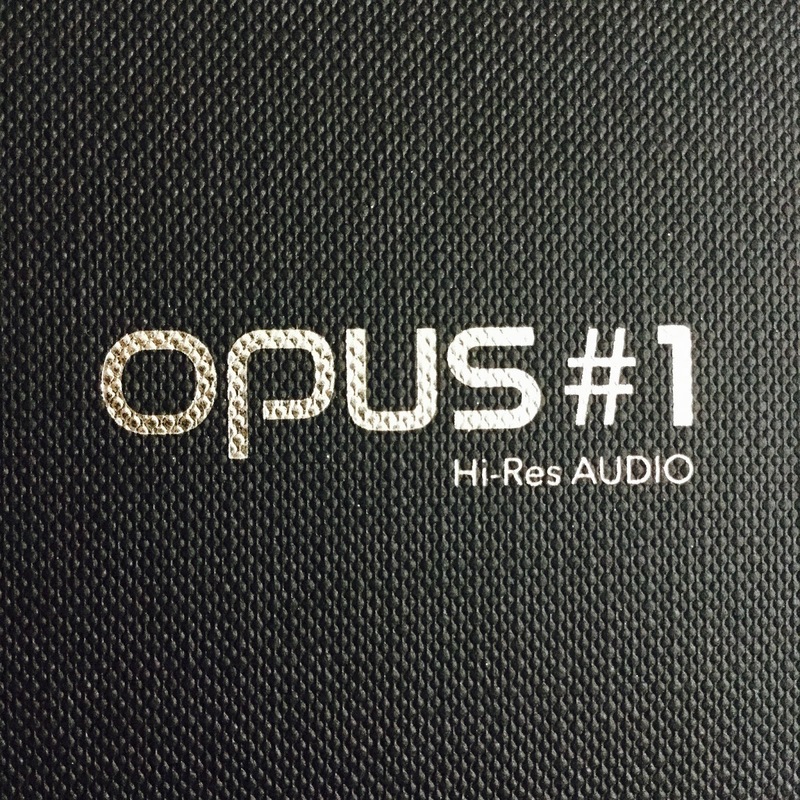 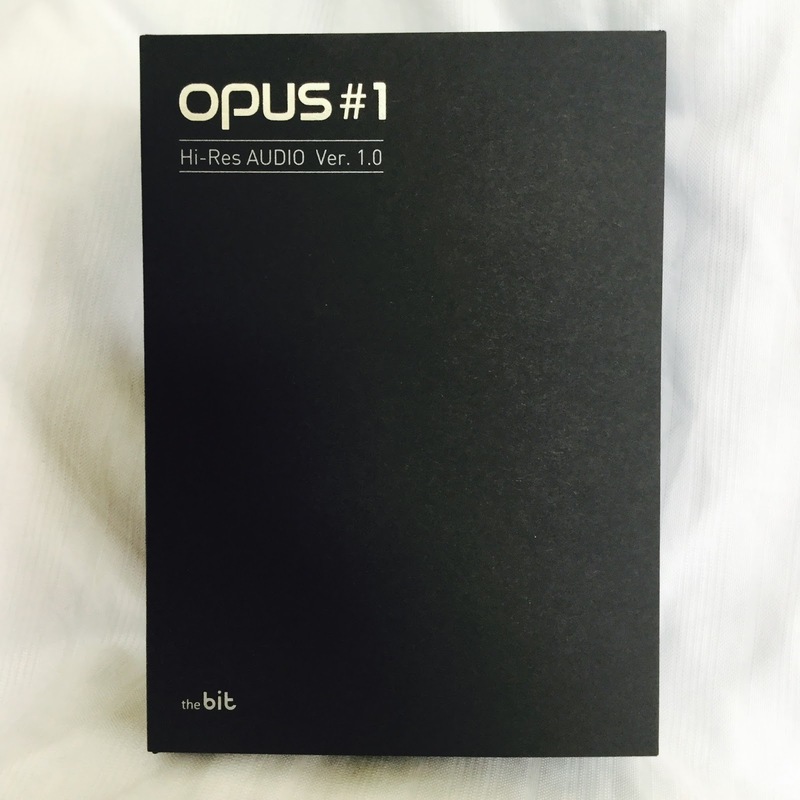 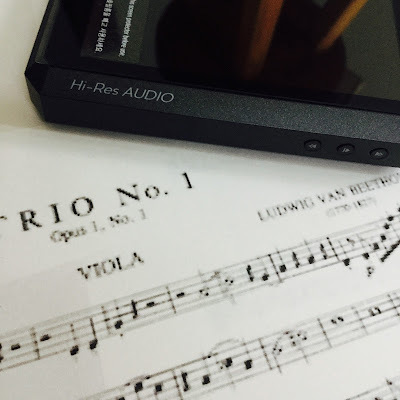 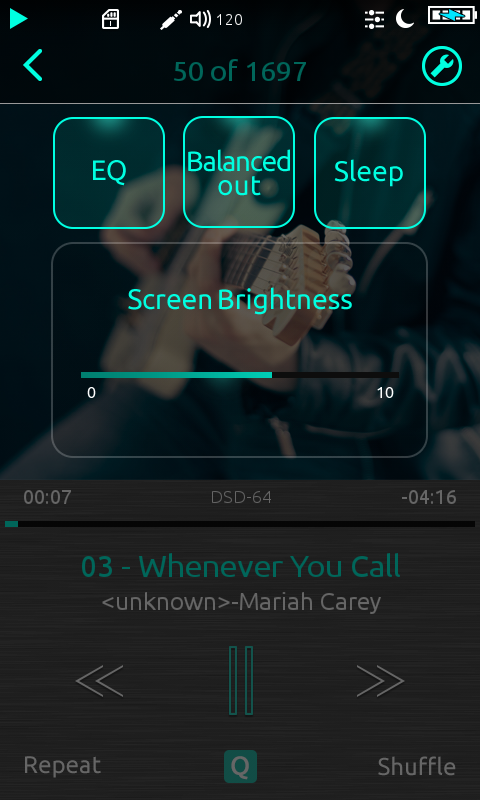 Some included brochures on the Opus#1 and the Opus#11 for your smartphone (DAC/Amp). Safely enclosed within a textured solid and sturdy cardboard box. 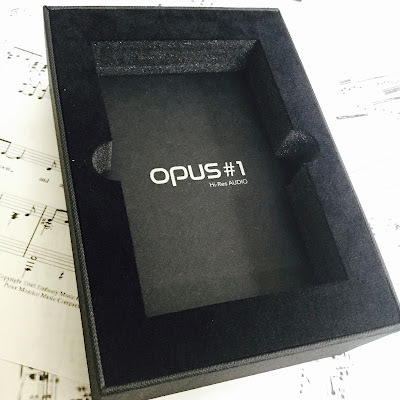 Nice padding enclosure within the box. 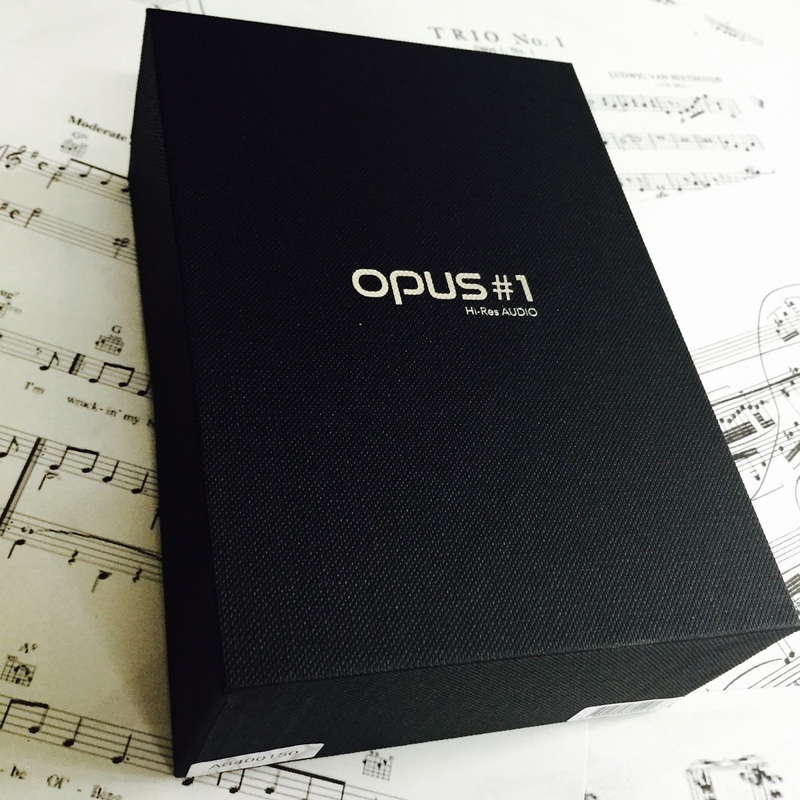 A quick guide, a warranty card and a screen protector are inside the box. 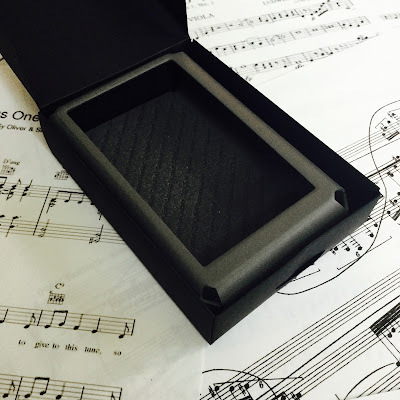 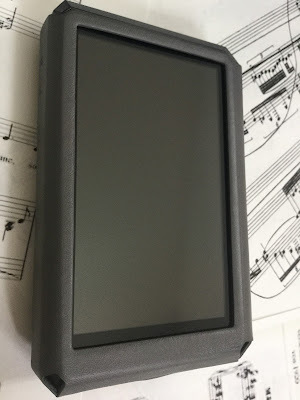 A beautiful Dignis leather case for the OPUS#1. 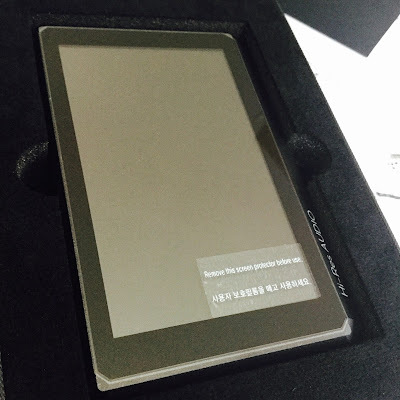 Installing the main screen protector. 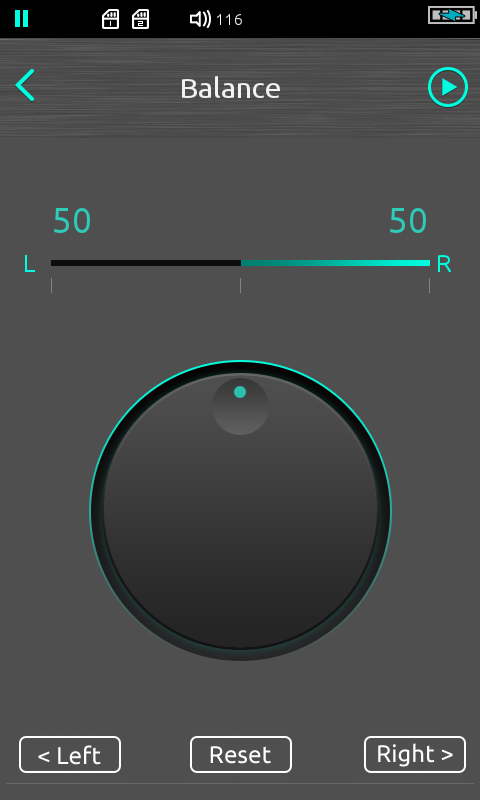 Always good to have some physical buttons along with a touch screen. 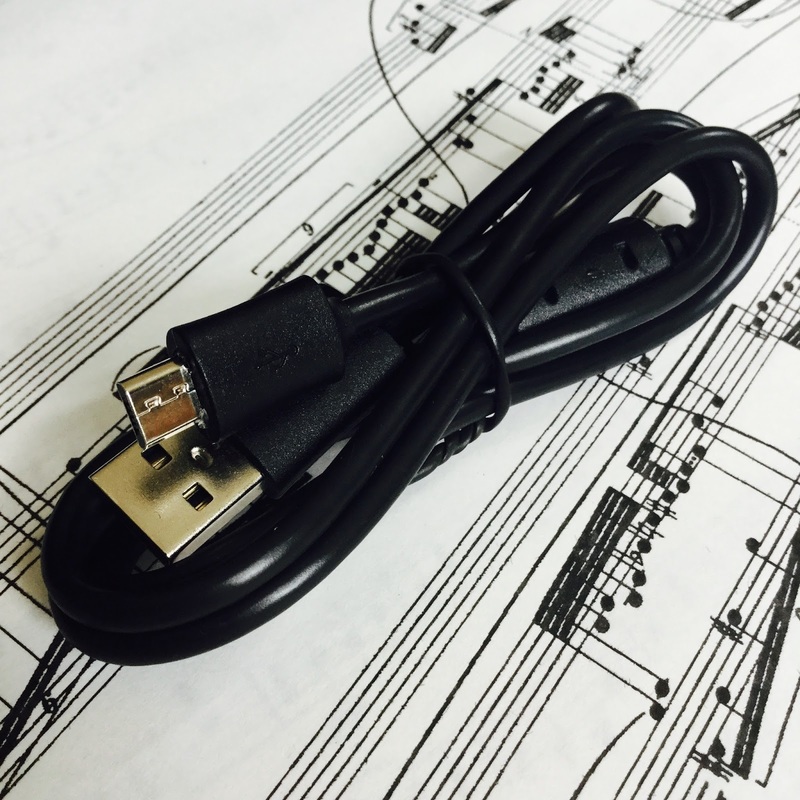 Micro usb port for charging and data transfer. 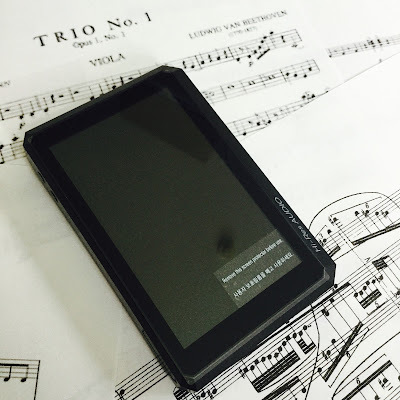 Volume buttons, and two micro SD slots for support of two 200GB micro SD cards. 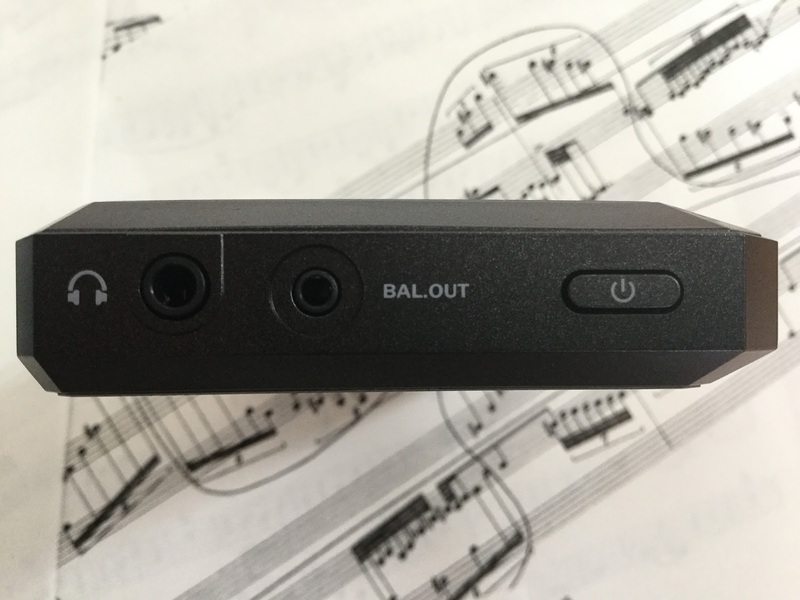 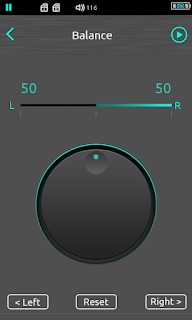 Single headphone out, balanced out and on/off button. 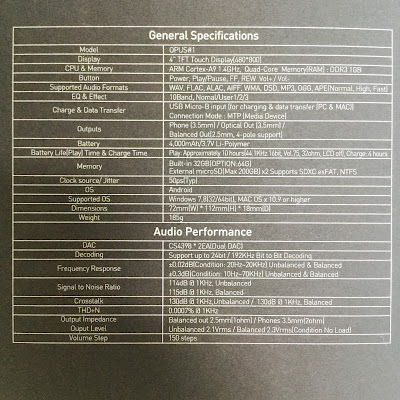 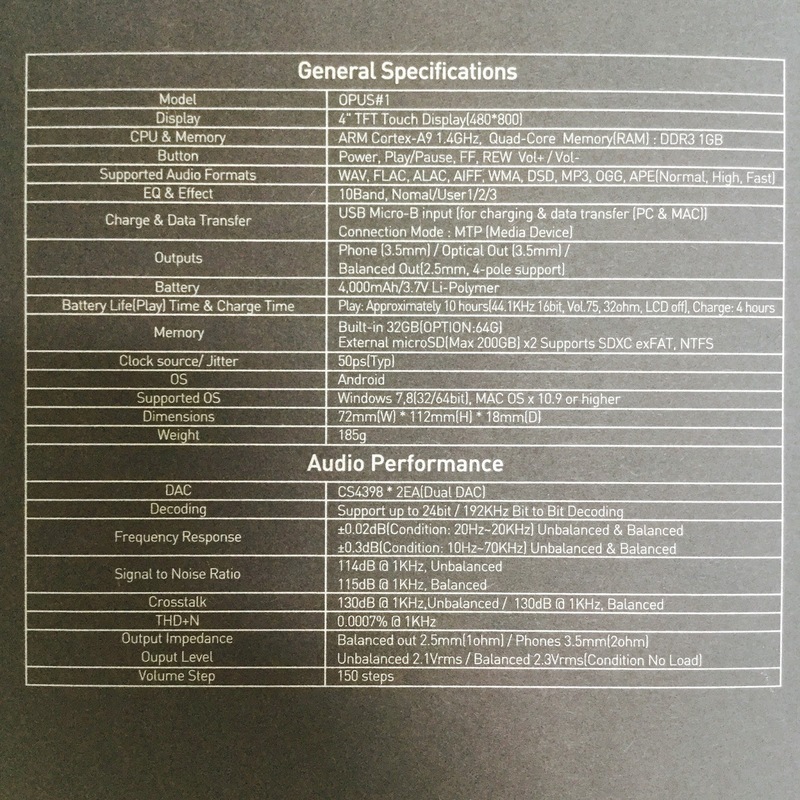 Some specification details (more details on their website). 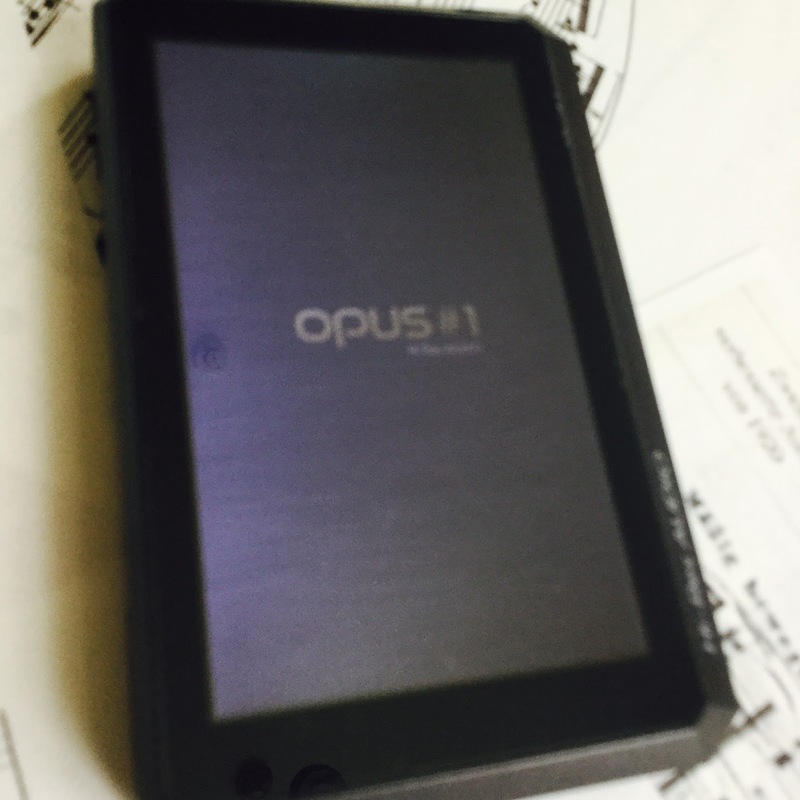 Boot up/start up time was fast. 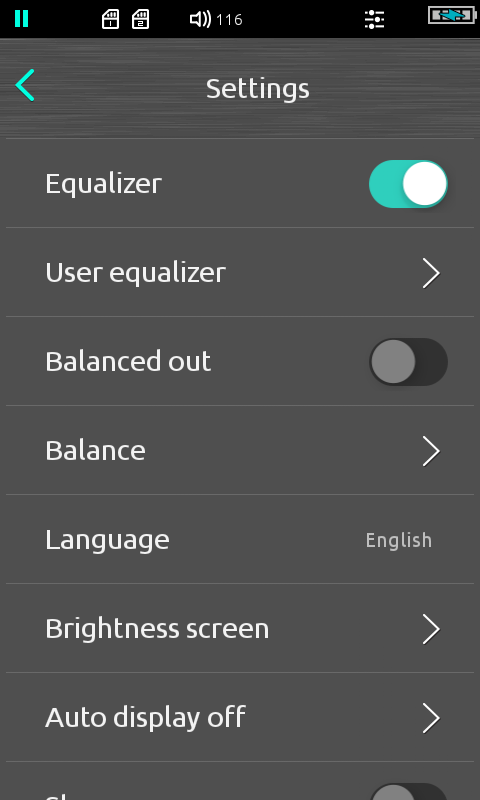 Easy to use UI. Responsive touch screen. 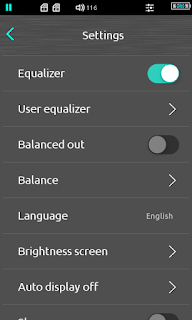 Stock pictures of some of the menu screens.